Every other day of the year is colder than that. Why on Earth would you choose red, a color that universally means hot, to indicate a region whose highest temperature all year is jacket or coat weather? Beautiful map. Strange to see Australia so hot. That’s because the hottest places are not at the equator but just above or below it. Whilst interesting it is relatively meaningless as there is no comparable data. 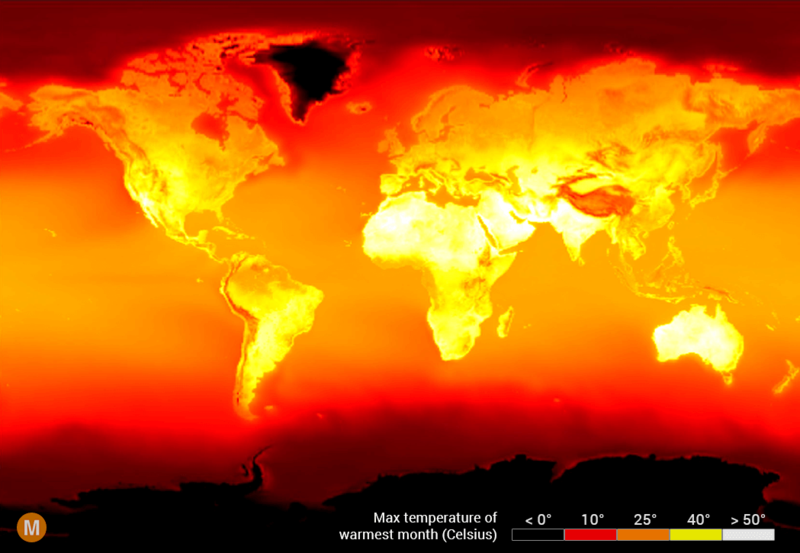 A map showing the temperature rise across the planet compared to say 1900 or 1800 would perhaps be more enlightening. How about showing the coldest? A “peak” temperature is a rather deceptive data focus. Might have been one day. I am Mama Jafali and endowed with vast experience in the field of spiritual, traditional healing and spells casting which i was trained by my grandfather since i was 8 years old boys, that’s what i offer to my clients. Results may however vary basing on individuals and their environs circumstances, but due to the successful and fast results of spells that i give to my clients, i have to face an increasing number of requests, and that’s why i cannot help more than two persons per day. but if i feel that you’re serious and really need my help, i will male possible to prioritize your situation. Every situation will be analyzed and treated myself, personally i will never start anything without sure one can obtain the desired results and i will never raise anyone hope in vain, the desired the best way to solve my clients problems depending on the desired speed, and on their agreement to work with occult. So please take your time and go through the services i offer before deciding on coming to me as you some ideas on how traditional healing works and where you don’t understand contact me for more information.